There are many things one can do with GUINNESS®. I like having it with toddy. 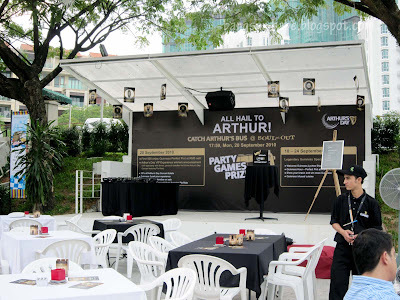 But Chef Lyris from SOULed Out did more – she created three GUINNESS® infused dishes for Authur’s Day 2010. They are GUINNESS® Battered Fish & Chips, GUINNESS® Chicken Yakitori and Meatballs in GUINNESS® Sauce. Upon arriving, I had a pint of GUINNESS® and waited for the food. Truth be told, I don’t drink GUINNESS® unless it is served very cold. Good thing the bartender at SOULed Out knew just how to pour the perfect pint of GUINNESS®. 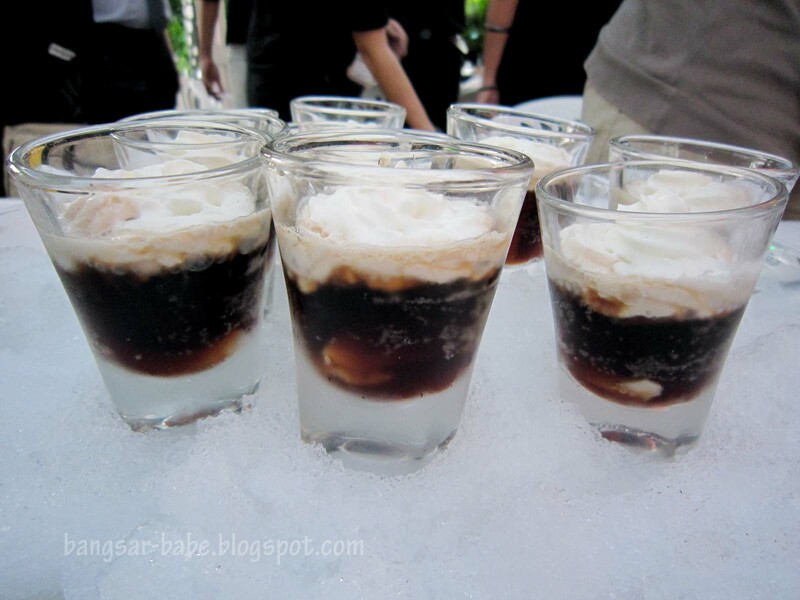 Before the dishes made their appearance, I had a GUINNESS® Lychee Shooter. This was sweet, creamy and smooth. Almost like root beer, but better! Then the food came. 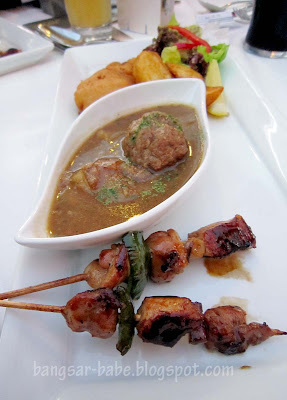 Since everyone was crowding around the dishes, I decided to take pictures of my tasting platter. 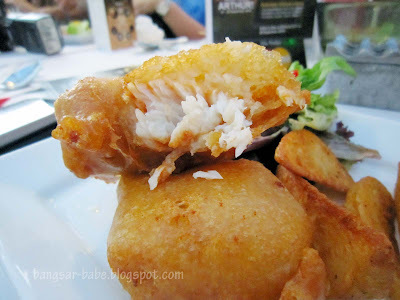 GUINNESS® Battered Fish & Chips was a little bit of a letdown. 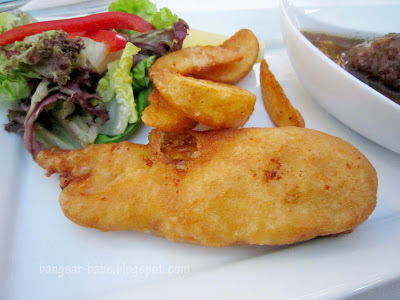 I was unlucky – I got a cold piece of fish. The guy seated next to me had a beautiful piece. I could hear the batter “crack” when he cut through his piece of fish. I liked the lightly seasoned chips, which looked more like potato wedges. 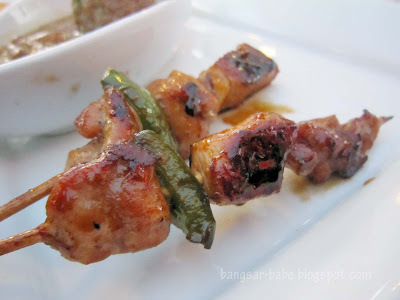 GUINNESS® Chicken Yakitori was alright, but it wasn’t my favourite dish that night. Chicken breast was used, so it was too lean for my liking. I like my meat fatty and smooth; my favourite part of the chicken in the drumstick and thigh. Seasoning-wise, I liked how the slight bitterness of the GUINNESS® complemented the sweet teriyaki sauce. 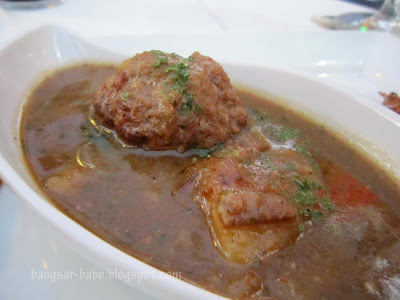 Meatballs in GUINNESS® Sauce was pretty good. The beef stock was flavoured with GUINNESS®, resulting in a fuller, deeper flavour. I also enjoyed the meatball — chunky and full of bite. I ate everything…right down to the last drop of sauce. 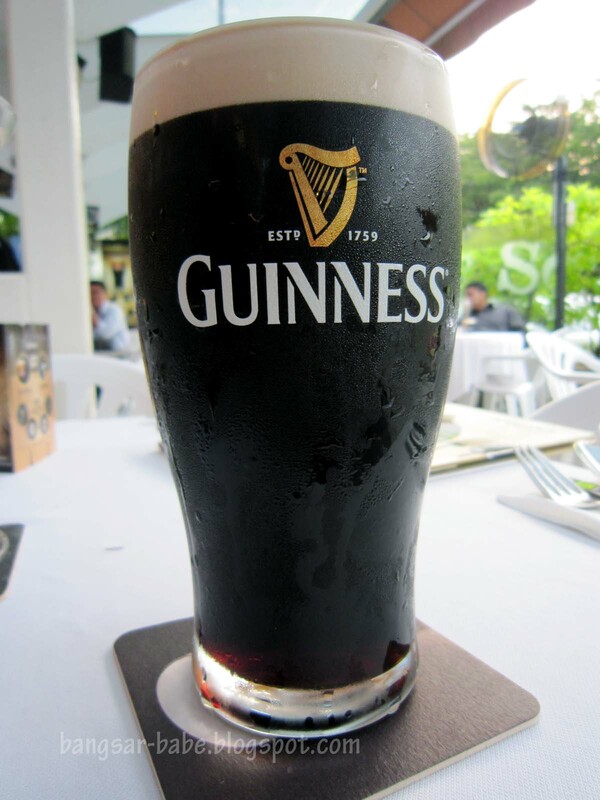 To get yourself a perfect pint of GUINNESS®, head over to SOULed Out, Jarrod & Rawlins, Royal Oak and Finnegans today. While you’re at it, don’t forget to order some Guinness infused dishes! not really a fan of Guinness but lately try to appreciate the taste!! 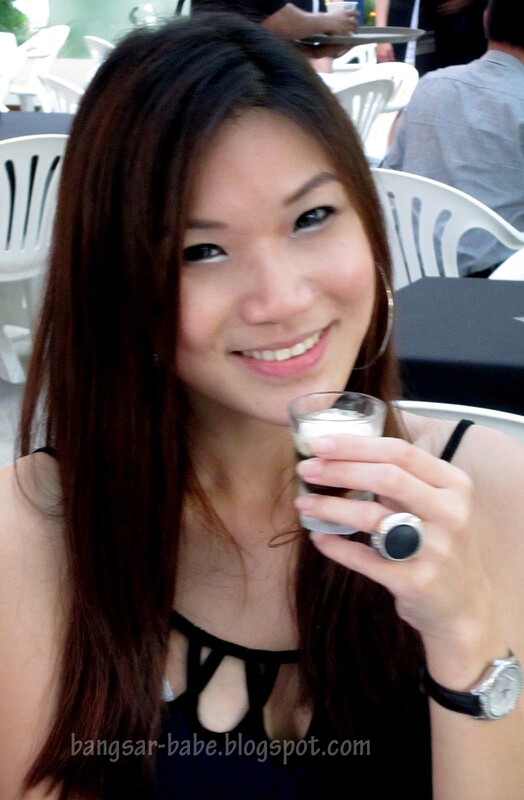 i might stick to guinness haha..
Thristhan – Go drink some Guinness! 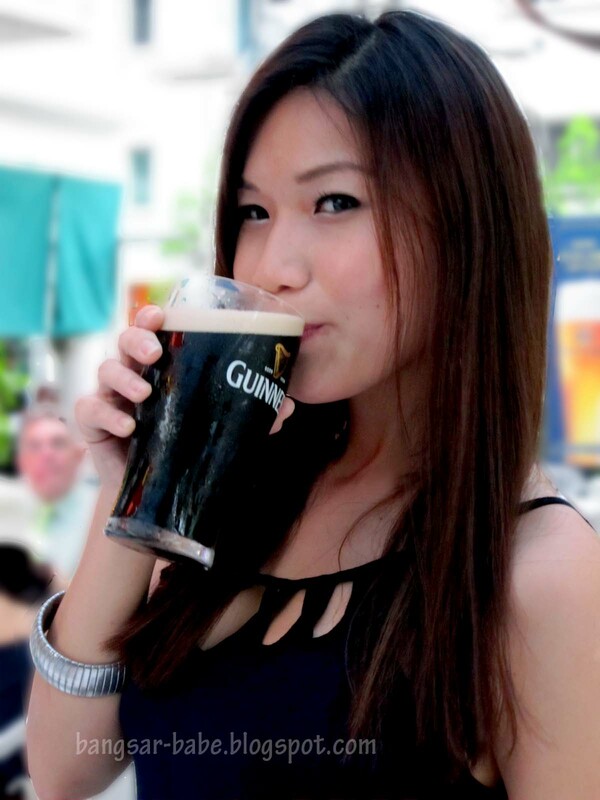 leo – I only like Guinness when it's served really, really cold. Otherwise, I can't drink it.